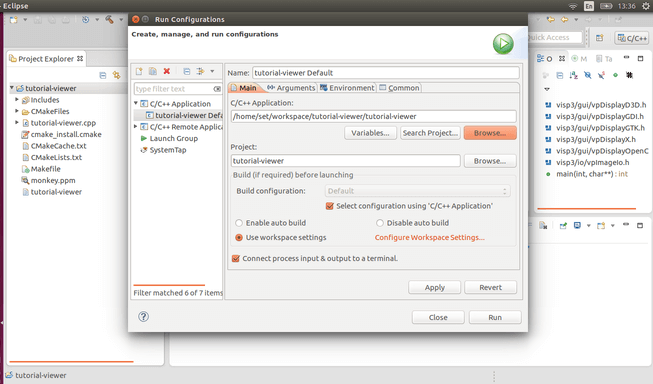 We assume in this tutorial that you have successfully installed ViSP either with an Installation from prebuild SDK or with an Installation from source. 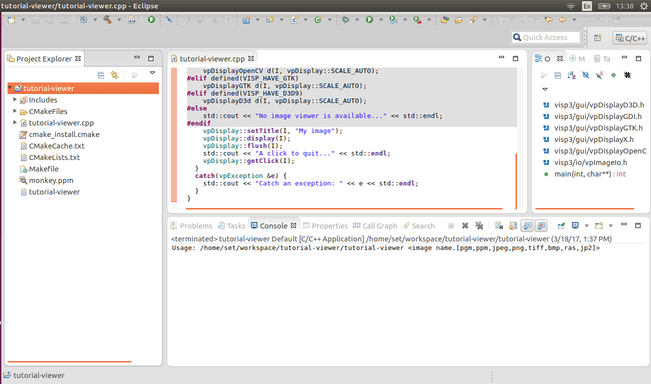 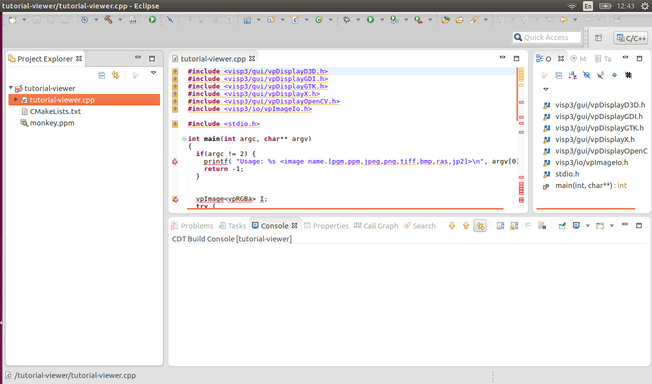 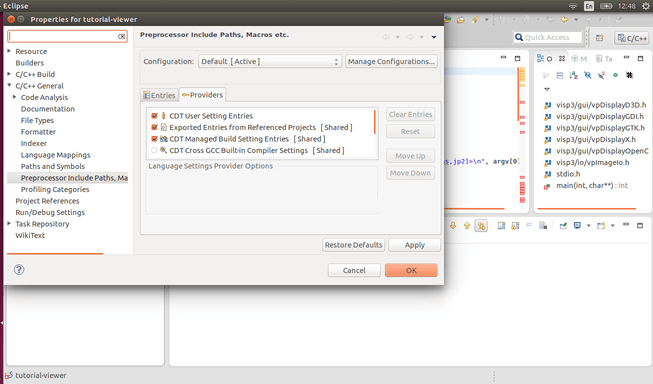 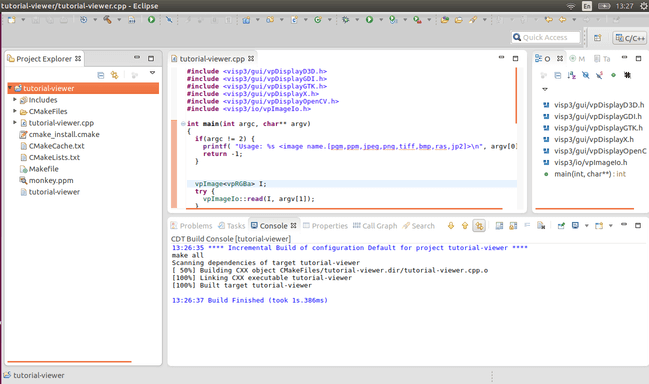 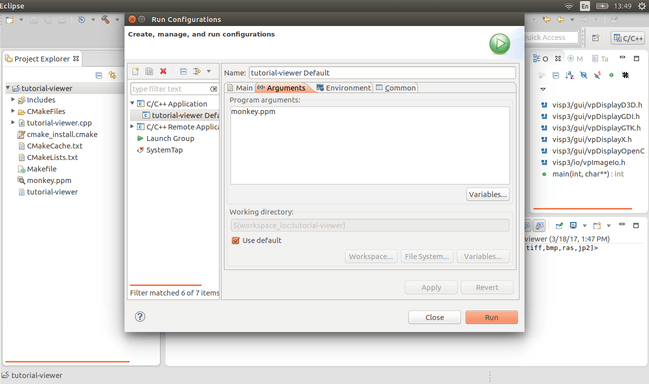 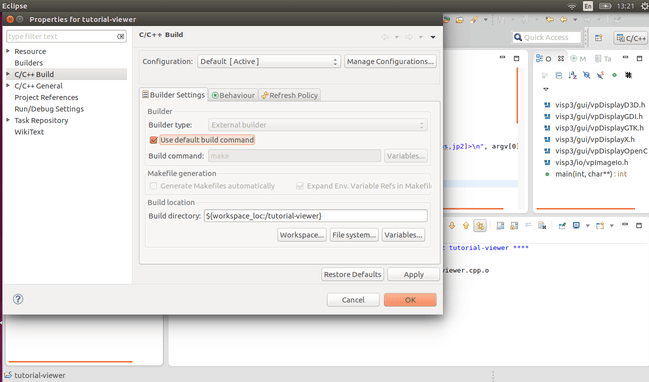 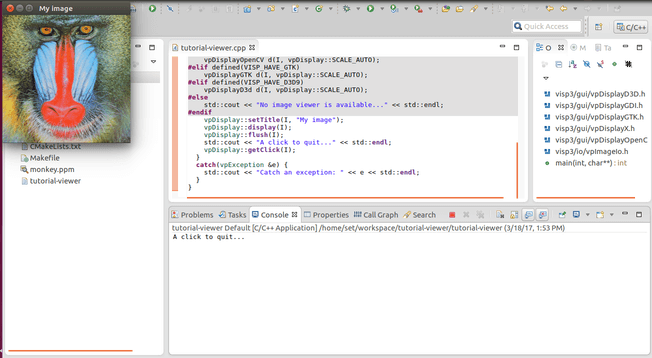 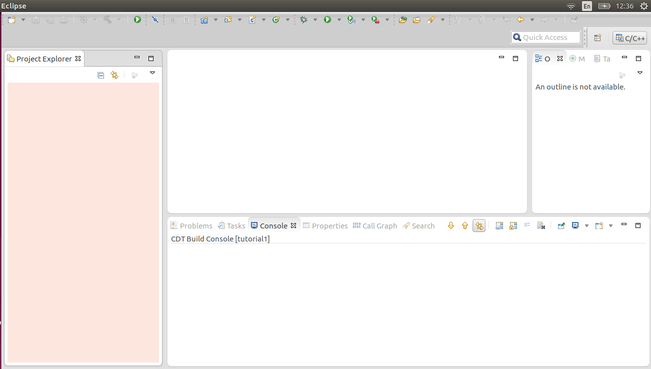 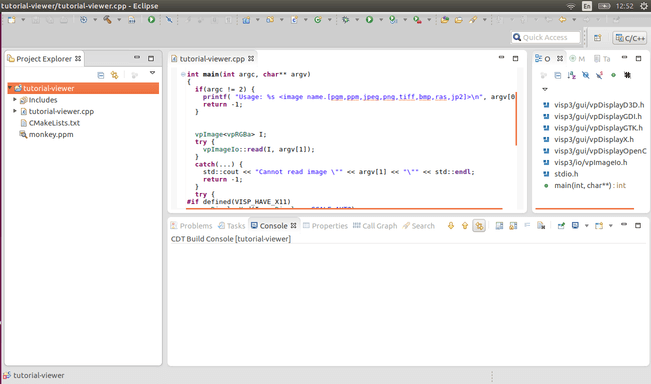 In this tutorial you will learn how to import a CMake project that uses ViSP into Eclipse IDE. 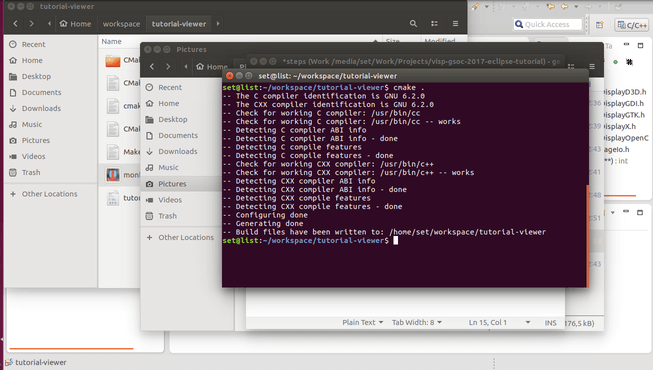 This tutorial uses CMake to build projects. 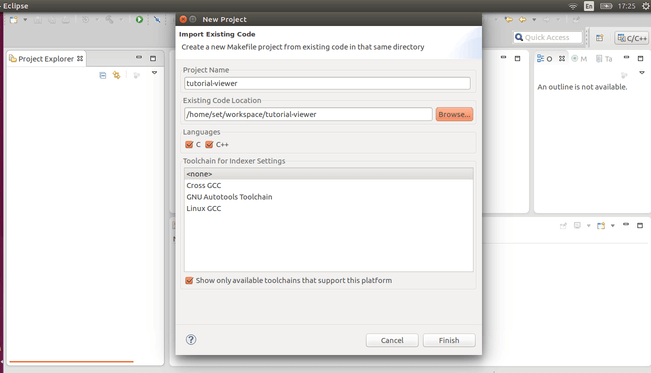 If you are not familiar with CMake, you can check the tutorial. 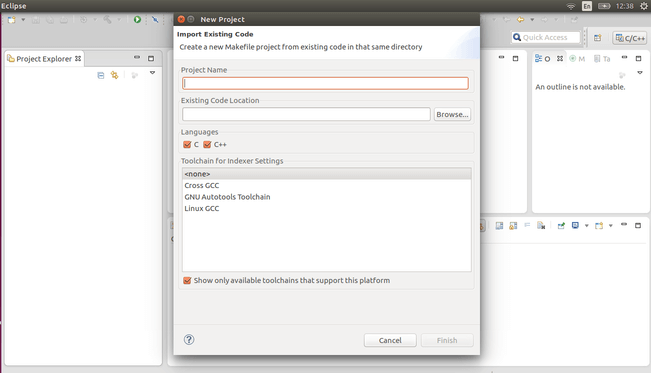 1) You need to download Eclipse IDE archive. 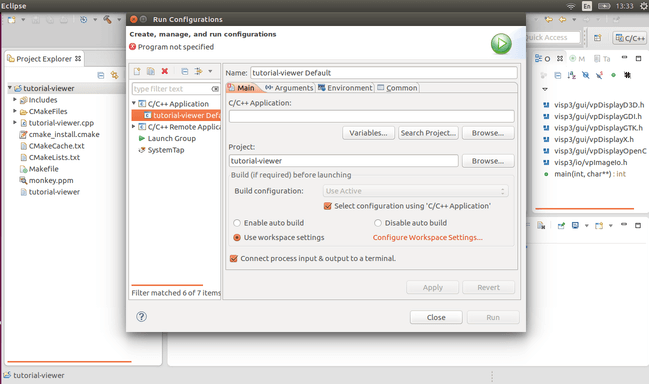 6) Browse > Select directory to the CMake project > Press "Finish"
Make sure that "Build command" contains "make"
2) Right click on Project > Press "Properties"
3) C/C++ General > Preprocessor Include Path etc. 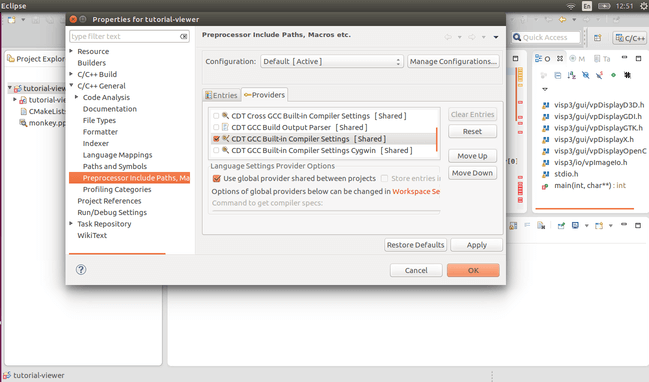 > Providers > Enable "CDT GCC Built-in Compiler Settings"
Write arguments to "Program arguments"